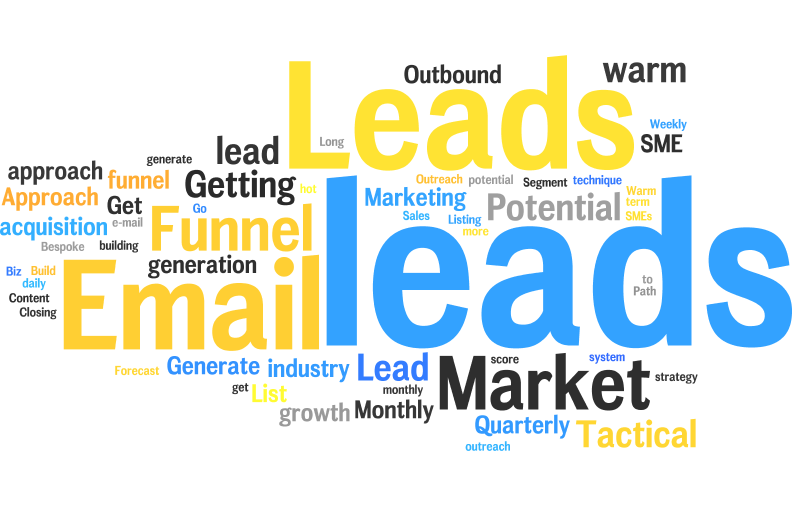 Lead generation has to be the honey’s bee of your Inbound marketing strategy. Whatever you do, you will be depending on content to reach out and get more leads, right? If you agree that content is key and you’re serious about your online strategy read this quick “Lead Generation Guide”. Developing an effective lead generation plan of action is something that most companies struggle with. In this post, I will show how to get quick actionable tips, ideas, plugins and processes to create your lead generation. We all suffer from lack of traffic and time to generate leads during our business lifes. Email marketing automation is one of the key components within your online strategy. If you’re already using an email automation system you should probably consider integrate a complete marketing automate process. What are the big marketing challenges for your business? Did you noticed that these three are increasingly interdependent? I let you work this one out. and see how to get your lead generation approach working. Log onto mind42.com to design a birds-eye view of your strategy. You can also grab a pen and paper and jotdown what your business needs are, followed by your campaign goals. Then go and check your personas pain points. Do a brainstorm and draw your first content draft. Develop your content as needed and always keep it simple. Write great blog posts with relevant keywords and lead-magnet. Show your expertise and aid without fluffing around, this will pay off. Create useful content about your product or services. This will increase your chances to engage, connect with your community and of course be found on search engines. Your website will be shared or bookmarked. Insert relevant offers within your page. You can and should insert a call-to-action at the middle and/or end of your page. Something like: “Sign Up for a free white-paper or research guide”. This is a powerful way to get leads. By doing this you’ll also present them with an opportunity to get to know your business a bit better. 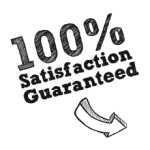 Optional: Hire a freelance web designer to create one to three call-to-action images/buttons. One important step in your lead generation process is to create a lead magnet – aka “Opt-in bribe” – that offer value in exchange of an email address or when signing-up for a particular email list. Examples are: an eBook, white-paper, software product, report, tip sheet or video series. Even though it’s free, you should still spend some time and effort writing the “header” which is normally a short description. Then, you’ll need a detailed description. This is the message you’re going to write/use to get your visitors to type their email address and subscribe to your list. Invest good time here as it will pay off in the long run. TIP: An effective lead magnet will help your website visitors solve a problem/task and learn a specific skill by offering a free downloadable digital item. Also, the lead magnet should be directly related with the content on the page or post. Optional: add an attractive/relevant image to your magnet. This step can be optional, depending on what you are trying to achieve. Use a landing page to show the particular benefits of one product or service. This is a great way to move your audience onto a particular funnel. Option 1: Select your WP theme’s landing page Template. This is the quickest and cheapest option, but often not offering a great design. Option 2: Create your beautiful landing pages using tools such as: Thrive content builder or Leadpages. Option 3: Learn how to create your landing pages. Tip: Digital Marketer: recently wrote a great article on how to increase conversions. It’s time to choose an email marketing service (EMS) to create your campaigns, lead-magnets and email forms. You’ll be needing this type of service to gather and nurture your leads. To stay competitive here are some of the most cost-effective email marketing solutions in 2017. Here are some of the free email (EMS) services that I recommend. MailChimp: This is among the most popular email marketing services. They offer quite a few features. These include many list management, autoresponders and drip campaigns. Note: They were recently acquired by Leadpages. They offer intelligent marketing automation features – it is a bit expensive, but it’s totally worth the monthly investment. Most companies are using marketing automation because it can help in marketing processes. Example: when leads freeze over-time, marketing automation steps in as your marketer helper to get you other qualified prospects. Active Campaign allows you to request a quick demo beforehand. Suitable for: all small to medium-sized businesses, and enterprise. Plans start from: 500 contacts =$9/month – 1000 contacts =$17/month – (14 days free trial) – up to $149 for enterprise level. I haven’t tried this solution but it was initially on our top 5 list. We selected because this solution is affordable unlike many other on the market. But we also liked the quality features versus money in this popular email marketing service. Suitable for: small to medium-sized businesses, and/or those just starting out. Your next important step is – building a mailing list on the email marketing system of your choice. Pick any of the recommended below. Thrive Leads is the ultimate list building plugin machine for WordPress. You’ll be able to easily build any opt-in form in order to streamline your site’s lead generation. It offers you every feature you’ll ever need to quickly grow your email list. Get over 55 + opt-in form templates. Insert opt-in forms anywhere you need. Drag and drop editor for easy form customisation. Advanced opt-in form targeting options. Price: $67 one-off payment – includes: one year support and lifetime updates. OptinMonster: is great to run on one or multiple WordPress sites. It started as a plugin but is now an online lead generation tool. Price: Starts from $19/month, (or $9/month when paid annually) with more plans to unlock more features. You probably like to get (and try) our free Cold Email Marketing Checklist before you start. The idea behind this is to only give readers/visitors access to your freebie, after they’ve confirmed their email. In other words, find out if it’s a legitimate email or not. Headers: Pick and add a relevant keyword into your header to trigger the readers interest. They’ll be quick to confirm the email address and get their free ebook or whatever you decide to give away. Subject line: Create controversial, educational or challenging subject lines. Add Call-to-action in your email. “Download” -” Get your” etc. Remember the funnel principle, your email must advertise your CTA. Remember to create a welcome and thank you page. The plugin selection below also integrate with major email service providers (ESP). Meaning the new-sign-ups are automatically funneled to your ESP. The idea is to keep your sign-up form as simple as possible. Inviting headline– Make sure your headline describes the benefits off your offer. Clear description– Is your description brief, clear and to the point? Use bullet points to help the reader’s eye quickly scan what they will get. Attractive visuals– Include an image of the lead magnet if you can (e.g. a mockup of your eBook). A photo of a person looking towards the opt-in form is also a great way to boost conversions. Two fields– Don’t try to get more than a first name and email address. Asking for too much information will scare people and will reduce your conversions. – Nice plugin that gives you a simple but effective opt-in form that ties into MailChimp. You just enter your MailChimp API key, the list to push to and it does the rest. – Allows you to ad pop-ups, sidebars, widgets, post boxes, 2 step opt-in form for your website. – is light-weight, superfast and mobile responsive. Price starting: $9 month – or pay annually and get 4 months free. Ninja Forms – is a fantastic free plugin that allows you to create endless types of forms. They also offer paid options and integrations to Stripe, CRM’s etc. Plus side will give you access to the major email providers. 10. What’s the next step? Now, you can work out your plan, select the email service you think works best for you to have a lead generation system running on your WordPress site. The next thing to do is come up with various email campaigns; write inspiring emails series and/or autoresponder and build trust with your leads. This next phase is often called “Lead Nurturing”process. I guess, the next obvious step is – track the performance of every email that you send. If you have any questions about the content of this article or other related items, feel free to drop me an email. Here is some additional websites/blogs sources to help you learn a bit more and (possibly) how to grow your business. Growing your business requires time, money and resources, so pick, test and learn more about the tools that I share (above). Whether your business is a B2B or B2C, you’ll need a lead generation system to power-up and build brand awareness. Use this lead generation post as your personal guide and start building your brand image, whilst improving your leads. Invest time sharing and/or advertising your content via platforms like LinkedIn, Twitter, Instagram these are excellent platforms to help you increase e-newsletters subscribers, shares/views and ultimately sales. A good combination of tools to start your marketing pipeline that can help you grow your audience. Be aware that this post has some affiliate links. This means we receive a commission if you click and make a purchase. We only recommend processes, books and plugins that we believe will genuinely help you improve your business.